Press the Subtool > Append button for the model you are working with and select the zsphere tool from the popup. Switch to the new zsphere subtool. Switch on subtool transparency, so that you can see what you are doing. 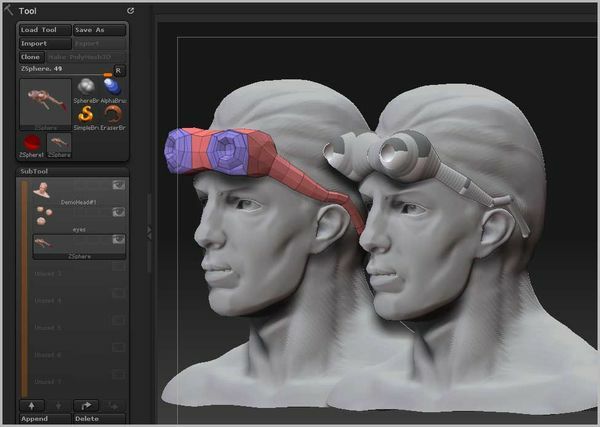 Using Scale and Move modes, resize and reposition the zsphere to suit. With subtool Transparency ON, model with zspheres as normal. With subtool Transparency OFF, click and drag to add zspheres that conform to the surface of the other subtools. Select a different start zsphere by clicking it while in Move mode.